Have you ever received your cell phone bill and really looked at all the charges closely? Or do you just send them money and be thankful that you have the convenience of a mini computer in your hand everywhere you go? Usually, this is me. Except when the bill comes and it’s quite a bit different from what it usually is. Our cell phone bill last month was about $85 higher than usual. I hate when this happens because I can’t in good conscious just send them the extra $85 without calling to find out what it is. After 20 minutes of discussing with the cell phone guy, he was finally able to figure out what it was. Then I ask him what next month’s bill is going to be and he starts to list all the usual charges and gives me an approximation for next month. I’m adding it up trying to come up with the same amount and I’m $100 less than what he’s telling me. We go through it again, and I’m still $100 less than him. So instead I give him the charges that I had written down and he realizes that I’ve missed the Plan fee, which is the missing $100. I ask him what those other charges are then, isn’t that the Plan fee? He says no, those are the line access charges. I then ask, ” so, I have to pay for the plan, and then I have to pay to use the plan?” Long pause… and he finally says “yes”. I don’t know about you, but that seems kind of ridiculous. Why am I paying to use something I’ve already paid for? When I buy food at the grocery store, they don’t charge me a second time to use the food. Anyway, moving on from things I can’t change to things that make me happy…like the Holly Berry stamp set. I know I just shared a card with this on Monday, but I’m telling you this set has tons of possibilities. And I’m in love with the coordinating punch. Here’s a tip if you’re ever waffling on buying the coordinating punch: buy the punch! The amount of time you will save not having to hand-cut your projects is well worth the few dollars for the punch. 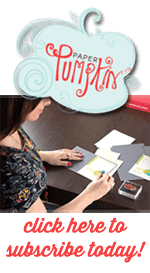 Plus Stampin Up usually offers a discount when a stamp set and coordinating punch are first released. Just look for those “Bundle & Save” notations in the catalog. 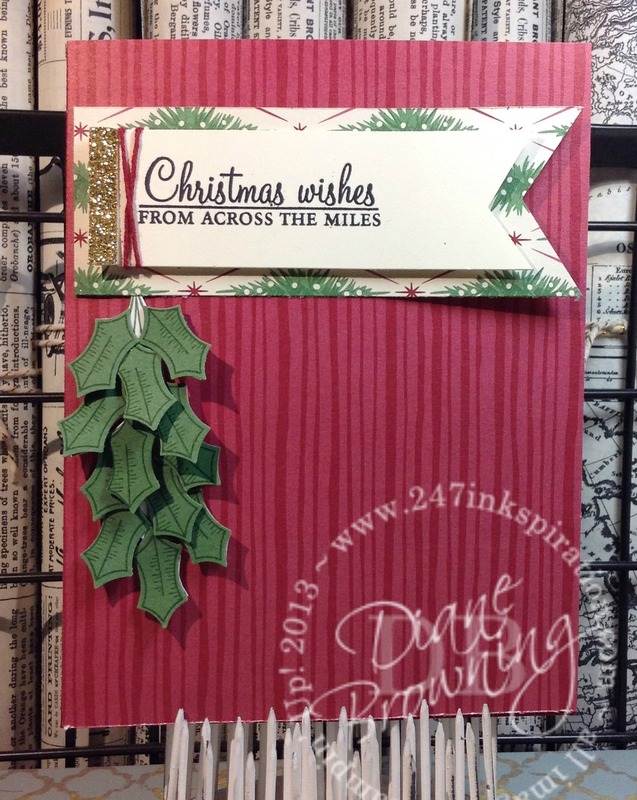 For this card, I stamped the holly branch twice and then layered my holly leaves on top of the stamped leaves using glue dots at only one end of the leaf. This makes the leaf look more natural, like they are hanging off the branch. The sentiment is stamped on Very Vanilla and adhered using dimensionals. I added a touch of the Gold Glimmer paper to give it a little sparkle. You can’t see it, but the card base is Cherry Cobbler, just like the pattern paper. I have another Christmas project coming for Friday and then next week I will be back to sharing Halloween. And don’t worry, somewhere in here I’ll start sharing Fall projects too. Eeek! So many cute things are in the works right now. I’d show you a picture of my workspace, but I’m not quite ready to reveal some of the surprises yet. Stay tuned!